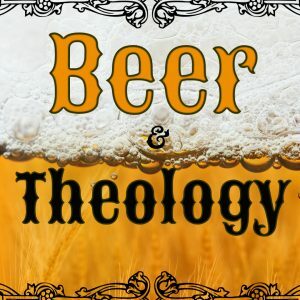 What is Beer and Theology? Beer & Theology is a collective of beer-loving individuals searching for God in unlikely places. Beer & Theology is a search for divinity in music, TV, movies, art, literature and the routine of everyday life. Beer & Theology meets to ask challenging questions and explore what it means for people of faith to be relevant in Champaign-Urbana. We are open to finding providence everywhere while struggling and discovering together. Our Planet. Our Concern. Our Call. 120 N Walnut St, Champaign, IL. From rising sea levels to the contaminated drinking water. From invasive pipelines to massive deforestations. What do the environmental issues of our planet mean to us personally? How does our faith call us to stand up for environmental justice locally, nationally, and globally? Join us as we talk to Professor Eric Freyfogle from the University of Illinois about the concerns of our environment and how our faith calls us to respond to these concerns. Film and Theology: What Films Speak To Us? Like any other form of art, films have different themes that can speak to us in our lives. On our Sunday, August 27th discussion, we will be talking about various films with different theological themes either apparent or non-apparent, how these theological themes connect or challenge our own personal theological beliefs.